Have now come off the Llangollen and stopped at Nantwich so that Tina`s mum Sandra.....hi Sandra.............could catch a bus to Crewe for her journey home. 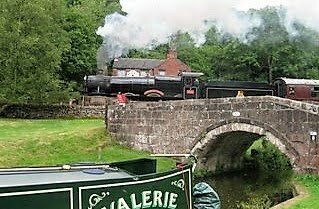 Sandra arrived at Wrenbury for a weeks holiday and we cruised part of the Llangollen, Shropshire Union and Middlewitch Arm. I was looking through the pictures taken in recent weeks and decided to blog some of the ones of unusual things like the pub landlady who collects teapots and the floating canal shop but at the moment sitting here in the middle of nowhere the sun shining through the windows and needing the binoculars to see the only building(a farm) in any direction i can`t get a strong enough signal to download pics onto the blog. Tried the first and gave up after 20 mins. So i`ll just bore you by chattering on. Have some pics of a white duck with her brood of golden fluffy chicks, some goslings and although cygnets are about now have not got a good pic YET. Funny how when you have all the time in the world you notice more of the nature side of life. You see the nests being constructed and the mating rituals and then the babes start to appear. It`s life and death happening around you something that when you charge around driving all day like i was pre-retirement you just don`t notice. I say life and death because only a couple of days ago i watched as 3 males mated with a duck and because all 3 were fighting to be the ` one` they ended up drowning her. This is common and often females can be seen floating by. Another instance was a duck with a brood of 6 chicks that she led upon the towpath and then went back to retrieve a dead chick and brought it upon the towpath and all 7 ended up sheltering from the cool evening beneath her wings. The following morning she had gone off and the dead one was laying on the grass. Had any rain your way today? Had a few showers earlier but the thunder could be heard in the distance and by the black clouds i would think just to the north of Birmingham had a wet day. The comments problem seems to have been solved and i now ok comments before they get on the blog. One i did refuse said just `YAY` so i binned it. If you want to say something say it, if not just read and enjoy because as i`ve said in the past the blog is mainly for the family and g`children but all are welcome if it brings you pleasure. Right thats it gonna go for a stroll and come back for a cuppa and watch something on the tv. 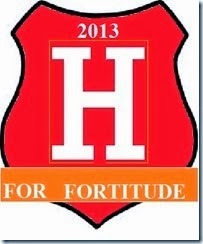 Bye hope i didn`t bore anyone. Just lately you may have noticed that the comments section has contained a large number of spam ie adverts. Also a lot of the blog content has been copied on to the comments section, this i am told is possible by cut and paste. The advert are electronicaly generated and affect a large number of blogs and as you know our e-mail inboxes, this i understand but what i can`t get my head round is why someone wants to add blog content onto the comments. Sad? Sick? Childish? Anyway my son Andy has cleared all the comments of late as he has a high speed Broadband connection and as the comments, some 80 plus have to be deleted one by one it would have taken me hours. I have changed the comments part of my blog in a way that all comments have to be approved by me before they appear on the blog. In no way does this mean i will pick and choose what i allow to be read. Other than the spam comments i have mentioned i will publish all comments from genuine readers even if i don`t agree with the content unless of course i think it might be offensive to anyone. So to all genuine commenters nothing has changed except you will not see your comment as soon as you make it but i will publish them as soon as i can. At Frankton Jct. on the Llangollen canal is the start of the Montgomery canal. Access to the Montgomery is restricted to 12 boat movements up or down the locks per day and advanced booking with BW is essential. When booking our passage we were told to be at the locks for 12 noon as all boats booked that day would go between 12-2pm. Our return trip was booked for a couple of days later. So on the day we passed down a staircase of 2 that was closely followed by 2 single locks and started our trip of approximately 6 miles to the end of navigation at Maesbury Marsh. This canal is in fact 35 miles long but a large middle section has upto now not been re-opened. In fact Frankton locks were restored and re-opened 1987 and the aqueduct across the River Perry l 1/2 miles along the canal was put back in use in 1996. This was after the complete aqueduct was re-placed. along the towpath to help you monitor your speed. At 3mph it will take 10secs to pass between each post and at 2mph it will take 15 secs. A very rural stretch of canal with just a couple of pubs and not much else untill you reach the turn round point at Maesbury Marsh and there on the edge of the canal stands a post office. Ok so what`s so special about a PO i hear you say. Well this is no bricks and mortar building but all wood that comes from sustainable forests and contains on the ground floor the post office, a small grocery shop and a tea room. Now if you look at the picture the staircase on the left is the private entrance to a self cotained holiday flat that will sleep 6. A huge glass sliding door leads onto the balcony in the picture and the view is across fields. The hot water system is solar powered and the wall insulation is of re-cycled newspapers. Bathroom facilities include a low flush eco toilet. The whole site is less than a year old and guests will be loaned a laptop to access the internet. This accomadation would make an ideal base for walkers as well as car trips to explore the surrouding Shropshire countryside. 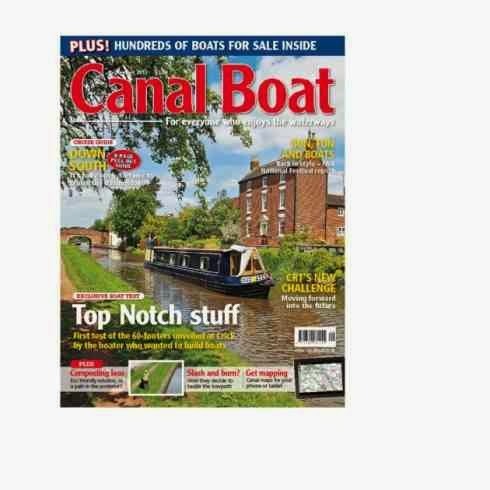 WWW.CANALCENTRAL.CO.UK will take you to the site and contact details. With all the newborn ducklings around there are plenty of nurserys like this. Mum upon the bank watching over her `Tyred` brood. Tina takes the helm across Chirk Aqueduct. Leah has popped up through the hatch to see the view. This was on the way up to Llangollen but i forgot all about it. 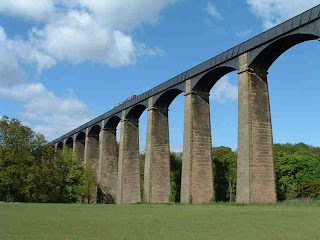 Alongside can be seen the railway viaduct. This Aqueduct is brick built and not a metal trough as the Ponty` Aqueduct. On the way back from Llangollen John on `TUI` is about to cross Chirk and behind i have just exited the tunnel. Chirk tunnel is 459yds long and like all the tunnels on the Llangollen is one way. As you can see to go through the tunnel you need to get over on the right to see if any boat is coming through before you enter. Heres another nursery, nine in this bunch and mum was just a couple of webbed feet away. Well here we are in Llangollen after a very pleasent cruise from the Ponty Aqueduct with some stunning views. This is the main street through the town with just small shops selling all your basic needs, no big names here and it reminded me of a seaside town with it`s many gift shops. The marina owned and run by BW holds about 35 boats each having electric & water points and the mooring fee is £5 per night although you can moor free for 4hrs upto 4pm. The marina has only recently opened to ease the congestion because of this being end of navigation and as you saw in the last blog the narrow approach to Llangollen the moorings were very limited. You can just see our three boats in the top left corner. down and having to fight against the current to right themselves. This is the view from the bridge looking up river towards Berwyn. the line and from having just 60` of track then the line now stretches almost 8 miles to Carrog. On the day we were there 7822 Foxcote Manor was in steam and was doing good business with many people filling the carriages. Tina/Andy below enjoying their new trainspotting hobby. Walking along the towpath towards the source of the canal the Chainbridge hotel is passed and it gets it`s name from this bridge built in 1814 to transfer coal and lime across the river from nearby mines. It was re-furbished in 1870 by Sir Henry Robertson but in 1928 flooding caused the bridge to collapse. In 1929 Sir Henry organised the retrival of the original hand made chains from the river and re-built the bridge to a stronger design. Also along the towpath can be found a motor museum containing amongst it`s many exhibits Ford, Austin, Vauxhall and Citreon cars and BSA, Norton and Triumph motorcycles. The Horseshoe Falls is a weir stretching across the River Dee that Telford built so that he could use the diverted water to feed his canal. Below is pictured Berwyn station the first stop on the steam train ride from Llangollen. I took this from the towpath looking across the R. Dee. In Victorian 1884 a captain Jones started the first horse drawn boat service at Llangollen. Today the journey can still be made in somewhat more modern with wheelchair access and fully enclosed boats. The 45 min trip now costs a fiver, wonder what it was on Captain Jones boat. small wood to have a cuppa and for Andy to give the dog a chance to release some of the tension of the crossing, poor thing must have looked out the window and thought she was flying. So folks sit back and enjoy the views as we head into Llangollen but although you might think it lovely i can assure you that being there standing on the back of a boat on a sunny afternoon is 10 times better. Enjoy. Leading the convoy is Andy on `YTENE`. If you look closely on the right he is just next to one of the passing bays marked by white posts. This last run into Llangollen has 2 narrow sections that take one boat at a time, one of which has no passing places and goes round many sharp bends and needs for someone to go ahead and make sure a boat isn`t on the way out. Tina is absent from her usual position next to Andy as she had gone ahead with the walkie talkie to give us the all clear. Here comes John on `TUI`, told you it was narrow didn`t i. Who says boats can`t go up mountains, mind the paintwork. LLANGOLLEN town a view from the towpath. The main street crosses the R. DEE & the railway by a stone arched bridge. Did you enjoy the trip, how many of you have thought about hiring a boat?. Well be warned this canal is one of perhaps even the most popular holiday canal. In mid summer especially school hols you could find yourself in a long convoy of boats with the most popular moorings being full. Easter just gone (half term) the whole of Llangollen was full of boats with no moorings available which meant a long walk from out of town for late arrivals. Glad we kept well clear. YDYCH CHI`N DDIGON DEWR I`W CHROESI? The blog title above translates to Are you brave enough to cross it? At over 1,000 feet long and 130` high - choose your own height, have seen 4 different versions in print but if you fall a couple of foot either way won`t help you- this is truly a remarkable piece of engineering. No cranes or JCB`s 200yrs ago when this beauty was built. The stone pillars are solid for the first 70` and then hollow to the top. This was to save weight on the foundations. Blocks of stone are bound together by a mixture of Lime, Water and Oxen blood so next time you build a wall in the garden pop into B&Q and get a bag of this mix and your wall will still be there in 200yrs. Telford built this marvel in 1795 and it opened in 1805. If you look back to the blog of April 22nd and go to the comments you will find a lot of info on the aqueduct. My thanks go to whoever put this on the comments. Andy/Tina following me across and Tina is standing on the towpath side away from the edge of the iron trough. On the way back she stood on the other side saying she preferred seeing the drop as opposed to the feeling of looking ahead and the boat appearing to be in flight. Just 2` behind where i am standing this is what is between me and a long drop down. This view from the Ponty Aqueduct shows a stone viaduct in the distance which i assume carries a railway across the valley. No i`m not leaving the country for a holiday, this life is already one big holiday, it`s just that we`ll be leaving England to enter Wales soon. This is Wrenbury and as we leave our moorings after a pleasent 2 day stopover you can see on the right the boatyard of Alvechurch holiday boats and at the liftbridge Tina can just be seen about to lift the bridge with her BW key as this one is electricaly operated. Just a 5 min walk across a field was the village shop/post office handy for odds & ends to keep us going for a while. Before i forget here is the painting i bought that i mentioned in an earlier blog. As i said painting not a print and £20 with frame. Below, and not in the order i wanted the pics but no matter, is The Mere next to the town of Ellesmere. This one is the largest of 9 Glacial Meres that were formed when large blocks of ice were left behind in the last ice age which then became buried by mounds of debris and as the ice melted large hollows were left that became lakes. Lovely places to walk. As Ellesmere is approached on the canal Cole Mere & Blake Mere are passed, one each side of the canal, and make a very stunning all round landscape. This is Whitchurch lift bridge and is the bridge i had the view of when i last blogged. Off to the right is the Whitchurch arm just about 300yds of it. The town is about 15mins walk and as there was a Tesco......lets go Tesco lets go Teeesssco....sorry i tend to burst into song with Tesco. Now as we had bags of shopping we caught a bus that stopped at the end of the arm. I don`t know what bus fares are in your neck of the woods but we paid 39p. When we were last in London the min fare was £1.30 and it was i think just below a £ in Luton. Out and about on the canal you meet all kinds of towpath walkers.